Interstitials are full-screen visuals that appear inside your application. 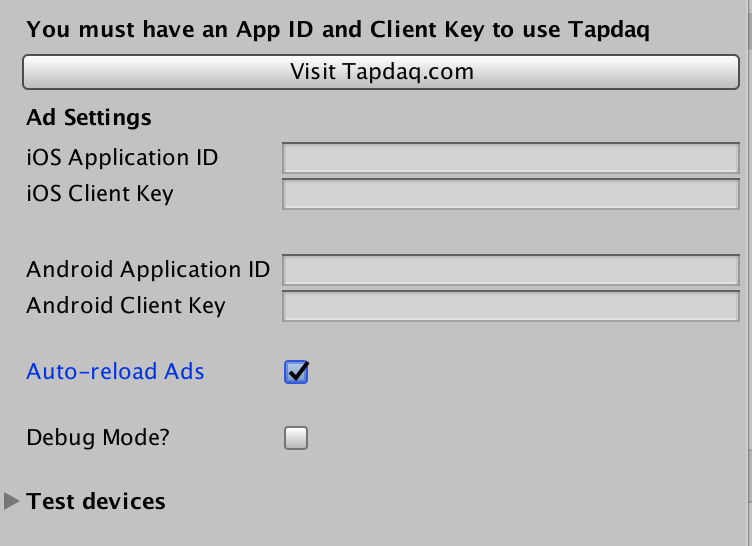 If you would like to load the interstitial when the application starts, use the TapdaqConfigLoaded listener to guarantee the ad is loaded. To display the interstitial we recommend using the AdAvailable listener. To do this, create a callback method and subscribe it to the AdAvailable listener. Export your application to iOS and Android, then run your application to test the ad displays correctly. Now that you have successfully integrated an interstitial into your app, what would you like to do next?